If you love to cook like my mother, you can relate to this situation. Whenever she wants to cook something she hands me this checklist and ask me to bring stuff from the market. When she starts cooking, she consults his checklist and make the necessary arrangements. Therefore, every bite of her cake seems delicious. Because she follows this checklist. To succeed in life, you must follow a checklist. If you own an ecommerce store it is better to start with a checklist and move forward in an organized manner. 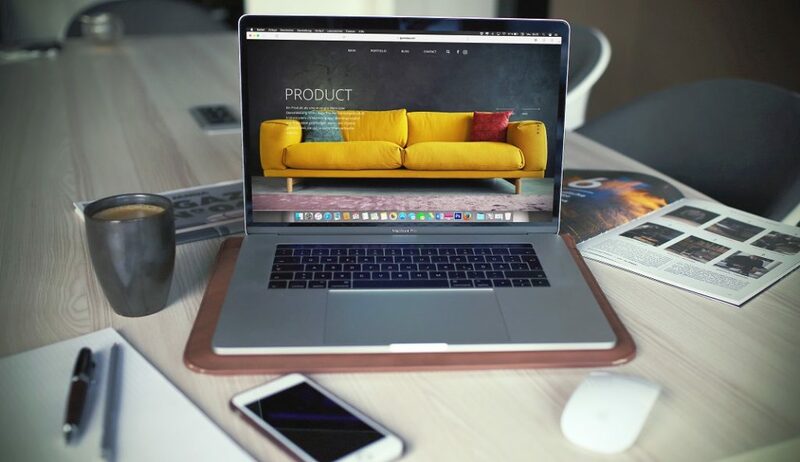 The ecommerce giants like Amazon, Zappos, and even Walmart understood the importance of maintain an ecommerce website design checklist that can lead to a satisfied customer experience. If you’re willing to get the same customer experience for your customers, you must start with an ecommerce web design checklist. One of the major problems with ecommerce websites is that even when the users are willing to purchase at times they can’t find the cart. The best approach is to put the cart icon on every page. This will reduce the amount of thinking that the user need before making the buying decision. Displaying cart icon on every page will give the user ease of knowing exactly how many products are in the shopping cart and what is the status of the order. When a visitor lands on your website there is no specific page that the user will love. But if the user is searching for a product he should be presented with a search option on every page. An initiative search bar will help the visitors convert into customers. There are no second thoughts on that. If the user is interested in buying from you, make sure that the process gets easy. Don’t make the user second-guess things on your website. An intuitive search bar will help the user search and do impulsive buying without asking for help from anyone. Everything that you do on the website will show something about your brand. A cluttered website will show that your brand doesn’t care much about anything. A website will no contact page and customer support number in the front will showcase that the brand doesn’t really care about the customers. If you hire a professional custom logo design agency they will help you to build trust on your customers. Do you think this is just a coincidence? Not at all. The agency is basically giving you an impression of trust that the customers have on the brand. While making your ecommerce web design checklist, ensure that you highlight all the bright parts of your website which can gain the trust of your customers. Elements like contact page, about us page, and customer support number or chat module. If the customer faces any problem they can contact, you without going through an agonizing process. Just like every blog post must offer something to the user. Every page on your website must end with a call-to-action. If the user is browsing on a page, ensure that it leads the user to some action. Whether it is subscribing to the email list or placing order right away. You can even make things interesting for the user by offering some discounts on the shopping cart page, just like Amazon does for its new users. You don’t know where the user will land on your website, therefore it is important to keep things simple. No need to overload the website with CTA buttons. Just a little button that reminds the user to act will do the trick. Human beings have this tendency to go with anything that is popular. This is not something which can be forced, it is something which comes from deep down the heart. When the user see what other people are buying, it builds trust and visitors think of converting into customers. The best way to do this is by showing best-selling or featured-products on every category page. When the users know what is selling best, there will be no need for them to second-guess the product quality or feel confused while buying a new product. At times when users land on a page they don’t know what the category of the product is, this is where users get confused and leave without buying anything. You must write some introduction of every category on the page. When the user lands on the page, they should feel and exactly know what they are trying to buy. Writing an intro to every category will not only help the users understand the products in that category, it will help the search engine list the categories in a sorted-out manner. Over to you If you’re planning to develop an ecommerce website, this checklist might help you out to get the best of people and generate ongoing sales. There is no one way to do things online, you can try doing things from a different angle. But in the end if it is not generating sales, you must change your strategy and come again with a different angle.